Arcona Tea Tree Mask is suitable for all skin types. It is formulated to cleanse, purify, detoxify and refine the skin. The sulphur and grapefruit extract help reduce breakouts with their detoxifying properties. Arcona is a holistic skin care line that only uses natural ingredients. I know that there are a lot of ladies looking for alternative skin care lines that don't contain as many synthetic ingredients. Arcona does recommend using all the mask within 6 months of opening, as it has natural ingredients it won't last as long as products with preservatives. Hamamelis Virginiana Extract (Witch Hazel), Sulphur, Capric/Caprylic Triglycerides (Plant Oils), Kaolin, Bentonite, Titanium Dioxide, Melaleuca Alternifolia Leaf Oil (Tea Tree), Vitis Vinifera Seed Extract (Grape), Allantoin, Lavender Extract, Geranium Oil, Citrus Grandis Peel Oil (Grapefruit), Citrus Grandis Seed Extract (Grapefruit). After you have cleansed, apply mask and leave on the face for about 15-20 minutes. Then remove with warm water. Can be used 2-3 times a week. This mask has proved very popular with users, they say it softens skin and help prevent acne breakouts. 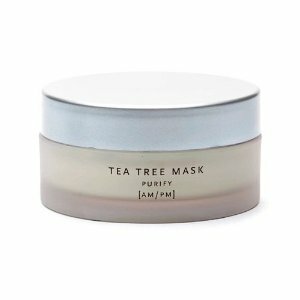 Arcona Tea Tree Mask retails for $30 (2oz). Which is quite expensive but I haven't come across anyone who has said it isn't worth it. 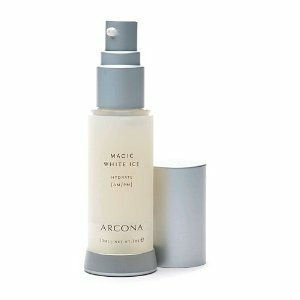 Arcona Magic White Ice is a natural anti-microbial hydrating gel suitable for all skin types. White Ice is formulated to moisturize, tone and help stimulate cell renewal. Arcona is proud of the fact that it only uses natural ingredients in all its skin care lines. It doesn't use chemical stabilizers, petro-chemicals or fillers. Acona says that White Ice should be used within 6 months of opening, as it is made with natural ingredients so they won't last as long as other products. I think the best way to apply this as with most moisturizing gels, is to apply a small amount to the palms, add a couple of drops of water, then apply a thin layer to the skin. Agua (Distilled Water), Hamamelis Virginiana Extract (Witch Hazel), Aloe Barbadensis Leaf Extract, Hyaluronic Acid, Glycerin, Vaccinium Macrocarpon Fruit Extract (Cranberry), Camellia Sinensis Extract (White Tea), Totara Extract, Pyrus Malus Fruit Extract (Apple), Allantoin, Beta Carotene (Vitamin A), Panthenol (Vitamin B-5), Ascorbic Acid Ester (Vitamin C), Tocotrienols (Vitamin E), Grapefruit Seed Extract (Citrus Grandis). Arcona Magic White Ice Hydrating Gel is expensive at $38 for a 30ml bottle. However, for those oily complexion it could be worth the extra as many have reported it doesn't cause out breaks compared to other moisturizers. Laura Mercier Tinted Moisturizer is highly rated and could save you money on foundation too! You are currently browsing the archives for the Arcona category.